← How to make a small problem into a big one. 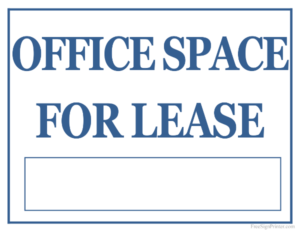 Rent your first office with caution. Several years ago, I became involved with a Southeast Asian company looking to expand into the United States. During the discussions with the CEO about hiring North American managers, he made it clear that he wanted us to find a first-class office facility from which to start the search process, and proceeded to name cities that attracted him. Even after discouraging him from this backwards method of infrastructure-building, he kept bringing up the subject in subsequent months as new senior managers and sales people were hired, each starting with an orientation week at the Asian headquarters then returning to work from home. With audio and video conferencing and all the tools for communication and collaboration available today, each of these four new employees felt empowered, connected and enthused to work from home for the first time. The CEO was still talking about finding an office when the natural progression of growth made it obvious that two of the four needed to be replaced. These two worked from homes in widely scattered cities. Had the office been located to accommodate either one, the company would have had to find replacements in the same geographical area as the office. Without that restriction, outstanding replacements could be located based upon skill and experience, not location. [Email readers, continue here…] Very early stage businesses, start-ups, actually benefit from the establishment of a virtual environment. The flexibility in hiring decisions, reduced fixed costs, forced highly specific communications and better definition of job responsibilities that most often result from need, almost always give a virtual startup the edge financially and flexibly. So, can a startup exist for a reasonably long time as a virtual company? A decade ago there was a stigma that prevented many CEO’s from thinking it possible. Today, virtual offices are accepted at all levels of many organizations of all sizes. This entry was posted in Hedging against downturns. Bookmark the permalink.